We continue to work on many matters. A few weeks ago, Joanne Audet sent a prayer request for her husband Gilbert. He had collapsed and had to go to the hospital because of a possible stroke. The subsequent reports from the medical professionals looked extremely bad and they offered no real hope. Well, we have learned now that Gilbert Audet is doing substantially better than the medical professionals believed possible. Some consider that this is a miracle–and it may well be. We should continue to pray for him. The Audets live in Quebec, Canada. As mentioned last month, I plan to visit the small group we have in Almont, Michigan for services at 2:30 pm, July 21, 2018. We’ve had “trouble” a couple of times in the past with delays on the Kenyan end. Shipments would arrive fine in Mombasa and then Nairobi but then experience a long delay getting out west to Evans in Ndhiwa area; just sitting in a warehouse was all I was told. The last leg is included in the price and is therefore already paid for … so what is the hold up? No one ever explained what the problem was (until prior to this shipment). Dozens of used laptop computers have been sent to Africa over the past few years in these shipments, along with Bibles, songbooks, office supplies, and other items. 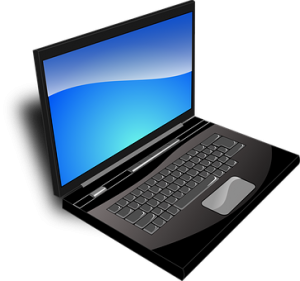 The laptops tend to be used for education, communication, and translation of our materials into African languages. More are concluding that a trade war has begun (see Finance expert says Europeans are in ‘over their heads’ as Trump TRADE WAR begins; see also EU decides on anti-USA tariffs and seeks to increase European Space Agency budget). Although a few seem to think that this is something that the USA will ‘win’, the reality is that nations around the world are looking to take steps to bypass the USA and its dollar (e.g. see Eric Peters: In The Global Trade War, America Has “All The Cards” and De-Dollarization Escalates: “African Economy Needs More Usage Of Chinese Yuan”). The USA is also taking steps to monitor those who write and influence on the Internet. Reportedly, 290,000 are currently on the list of the USA (see Department Of Homeland Security Compiles List Of All Bloggers, Journalists, & “Social Media Influencers”). Because of the actions of the USA, other governments are likely to feel more justified with the monitoring, etc. that they want to do. The Europeans have just proposed spending billions to be major digital players in the next decade (see EU proposes billions for ‘Digital Europe’ surveillance: This would assist 666). We are getting closer to the time of the ‘famine of the word’ (Amos 8:11-12)–the loss of freedom from governmental monitoring and censorship is getting stronger–and in Europe it will get even worse (cf. Revelation 13:15-18). The famous Bilderberg meeting began today in Italy. For the first time ever, a high ranking Vatican official is expected to attend (see Bilderberg 2018 conference beginning). To a major degree, Bilderberg is about making a multinational government to rule the world, and having Vatican involvement with it is consistent with some of the prophesies in Revelation 17. Russia’s President Vladimir Putin put out the word that the EU is Russia’s biggest trading power and that Russia is not trying to break it up (see Vladimir Putin: ‘Russia does not want to split EU’). Since many in Europe believe that Donald Trump (perhaps the most covered non-UK pro-Brexit supporter) wants the EU to break up, more are considering working with Russia. This will not end well for the USA (Daniel 11:39) nor ultimately the Europeans (Jeremiah 50:41-43). “Jerusalem and the blessed Al-Aqsa Mosque are an Islamic waqf until Judgment Day; they cannot be sold, given away, or bequeathed, and no one has the right to relinquish them,” (see Mahmoud Al-Habbash: Muslims cannot give up any part of Jerusalem). While he has misunderstandings, the Jews will not keep Jerusalem as their eternal and undivided capital in this age. The situation in the ‘Holy land’ remains tense (see also Certain Jewish military solutions and prophetic understandings for Gaza are in conflict with what the Bible teaches). In other news, the government of Denmark became the 6th EU nation to ban aspects of the Islamic covering known as a burqa (see Denmark is the 6th EU nation to ban burqas: Will there be war between the Europeans and the Arabs?). Armed conflict will be coming between the Europeans and the Arabs (cf. Daniel 11:40-43). The burqa ban is only a small way by which the stage is being set for that. Sermonette, which for most who receive this letter via email will be a recorded one. The one suggested for this week is: Forbes 2020s Might Be The Worst Decade In U S History. Other sermonettes are available at the Bible News Prophecy channel. Sermon, which for most who receive this letter via email will be a recorded one. The one suggested for this week is: First death, Second death. Other sermons are also available at the ContinuingCOG channel. Brethren, despite the problems we face, we have hope. Have faith in God, wait and persevere. And no, that is not easy, which is probably why the Bible tells us this is something that we need to do.